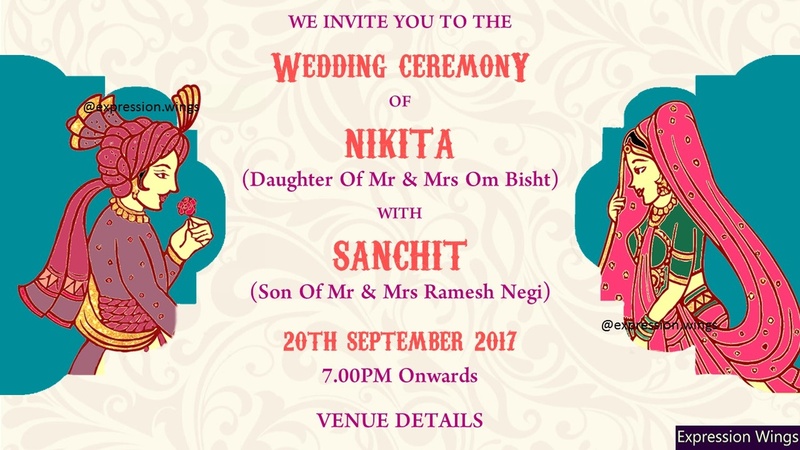 Expression Wings, Delhi is one of India's first businesses providing digital invitations and announcements was started by Divya Agrawal. They strongly believe in saving paper and thus contributing to the environmental concerns. They strive to offer unique concept/theme-based digital invitations and announcements that can be shared through various digital platforms like email, SMS, WhatsApp, and Facebook. The invitations are customized and personalized according to the requirements of the customers. The invite designed will reflect your style, story or theme that you have chosen for your ceremonies. 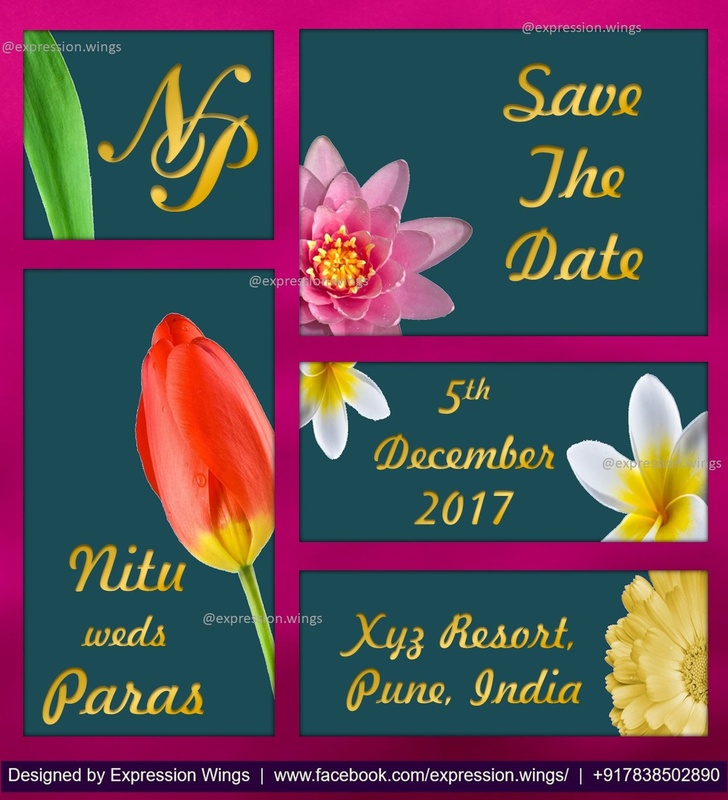 Products offered by Expression Wings catalogue includes: wedding invitations, save the dates e-invites/digital invites video wishes, thank you cards and other services. Expression Wings, Delhi also offer a unique collection of wedding digital options for many other social events and special occasions including birthdays, anniversaries, baby showers, bridal showers, engagements, baby name announcements, and corporate events. Expression Wings is a invitation card based out of Punjabi Bagh, Delhi . Expression Wings's telephone number is 7838502890, Facebook page is Expression Wings and address is 40, East Avenue Road, East Punjabi Bagh, Delhi. In terms of pricing Expression Wings offers various packages starting at Rs 4500/-. There are 2 albums here at Weddingz -- suggest you have a look. Call weddingz.in to book Expression Wings at guaranteed prices and with peace of mind.